TransportEG.com, which connects customers to truck-haulage services, has raised Rs 13 crore ($1.9 million) from the private equity arm of Infrastructure Leasing & Financial Services (IL&FS), a press statement said. The Mumbai-based company will use the funds to boost its product and technology features as well as expand and hire, said Siddaraju HV, chief executive and co-founder, TransportEG, in the statement. The deal was closed last week. TransportEG had raised angel funding from Goldratt Group two years ago in the Israel-based group’s first bet on a startup. TransportEG, which is operated by Caliper Business Solutions Pvt. Ltd, was founded by Siddaraju HV and Krishna Guha in 2015. It provides transport procurement-to-payment solution that seeks to improve pick-up and Delivered In Full, On Time (DIFOT) performance with optimum spend. DIFOT is a measurement of delivery performance in a supply chain. Guha, director of innovations at TransportEG, said that the company has more than 1,400 transporters on its platform. Currently, about 95,000 trucks with an aggregate transport contract value of Rs 350 crore are processed monthly through the platform. The platform has more than 35 corporate customers across 20 verticals. One of the biggest benefits to customers, the company claims, is that they can order truck-haulage services through the spot market, which is a very efficient way of doing business. Investment banking firm Edifice Capital Advisory Services acted as the adviser for the transaction. TransportEG’s model is not capex-heavy, which gives the firm an edge, said Swapan Das, founder of Edifice Capital. Capex is capital expenditure. The broader tech-enabled logistics sector has witnessed considerable investor interest. 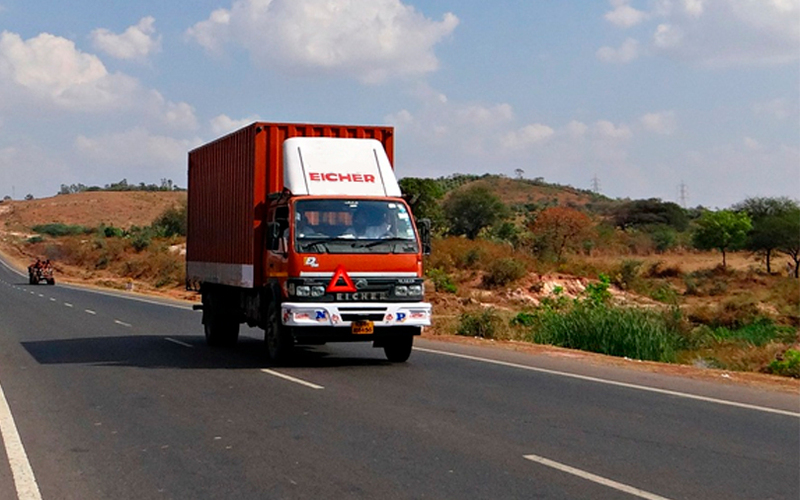 In May, FreightBazaar, an online platform which connects truck users and suppliers, raised an undisclosed amount in a pre-Series-A round led by Omphalos Ventures India. In April, Mumbai-based Cogo Freight Pvt. Ltd, which owns and operates digital freight company Cogoport, raised Series-A funding from venture capital firm Accel Partners. VCCircle reported in February that Bengaluru-based Diptab Ventures Pvt. Ltd, which operates a tech-enabled logistics marketplace for intra-city deliveries called LetsTransport, had raised $15 million from new and existing investors. Earlier this year, VCCircle reported that Gurugram-based tech-enabled logistics services provider Rivigo Services Pvt. Ltd had raised Rs 322.5 crore ($50 million) in a Series D round, which saw its valuation soar to nearly $1 billion. Other well-funded companies such as Ecom Express and Delhivery have also attracted investment.